Customize a classy gift for clients or party guests. 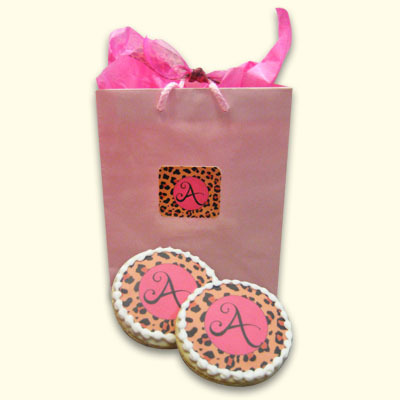 Send your logo, photo, or initial to digitize on this fun gift bag and two matching sugar cookies. Choose your favorite color bag to complete the set. 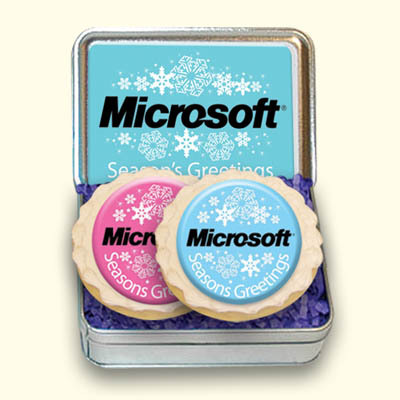 This gift set is perfect for a party favor for any gala or corporate event.